The US National Academy of Sciences (NAS) defined abrupt climate change as a new climate paradigm as long ago as 2002. A paradigm in the scientific sense is a theory that explains observations. A new science paradigm is one that better explains data – in this case climate data – than the old theory. The new theory says that climate change occurs as discrete jumps in the system. Climate is more like a kaleidoscope – shake it up and a new pattern emerges – than a control knob with a linear gain. This article reviews abrupt change in simple systems, in a 1-D climate model and in the climate system at multi-decadal timescales. The 1-D climate model uses physically based equations to determine changes in the climate system as a result of changes in solar intensity, ice reflectance and greenhouse gases. With a small decrease in radiation from the Sun – or an increase in ice cover – the system becomes unstable with runaway ice feedbacks. Runaway ice feedbacks drive the transitions between glacial and interglacial states seen repeatedly over the past 2.58 million years. These are warm interludes – such as the present time – of relatively short duration and longer duration cold states. The transition between climate states is characterised by a series of step changes between the limits. It caused a bit of consternation in the 1970’s when it was realized that a very small decrease in solar intensity – or an increase in albedo – is sufficient to cause a rapid transition to an icy planet in this model (2). Abrupt climate change is technically a chaotic bifurcation in a complex, dynamic system – equivalently a phase transition, a catastrophe (in the sense of René Thom), or a tipping point. These are all terms that are used in relation to the theory of deterministic chaos that originated with the work of Edward Lorenz in the 1960’s. Lorenz started his convection model calculation in the middle of a run by inputting values truncated to three decimal places in place of the original six. By all that was known – it should not have made much of a difference. The rest is history in the discovery of chaos theory as the third great idea – along with relativity and quantum mechanics – of 20th century physics. It has applications in ecology, physiology, economics, electronics, weather, climate, planetary orbits and much else. In climate it is driving a new math of networked systems. Ding, Hui et al (2013) have made major progress in predicting abrupt climate shifts based on analysis of the 1976/1977 and 1998/2001 climate shifts. Mojib Latif – Head of the Research Division: Ocean Circulation and Climate Dynamics -Helmholtz Centre for Ocean Research Kiel has commented publicly on the research. ‘The winds change the ocean currents which in turn affect the climate. In our study, we were able to identify and realistically reproduce the key processes for the two abrupt climate shifts. We have taken a major step forward in terms of short-term climate forecasting, especially with regard to the development of global warming.’ However, ‘since the reliability of those predictions is still at about 50%, you might as well flip a coin.’ Numerical prediction of climate shifts using powerful climate models is now as accurate as tossing a coin – although perhaps we should not make light of such a difficult problem in climate science. Abrupt climate change in the modern record explains observations that have been a puzzle for decades – notably the Pacific climate shift of 1976/1977. Tsonis et al (2007) used a mathematical network approach to analyze abrupt climate change on decadal timescales. 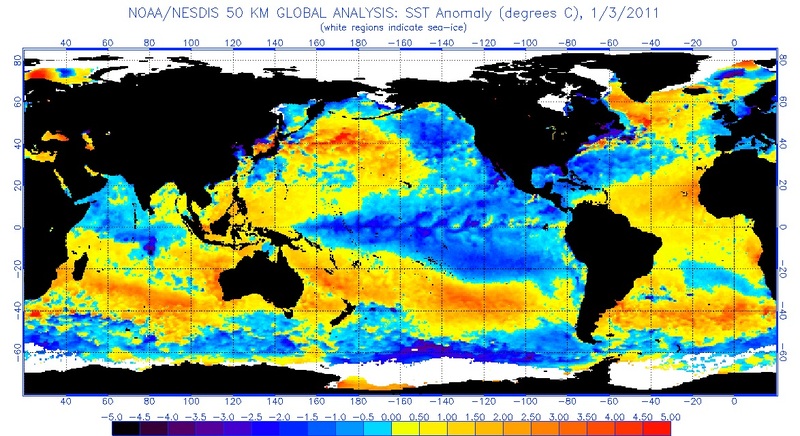 Ocean and atmospheric indices – in this case the El Niño Southern Oscillation (ENSO), the Pacific Decadal Oscillation (PDO), the North Atlantic Oscillation (NAO) and the North Pacific Oscillation (NPO) – can be thought of as chaotic oscillators that are nodes on the network of the global climate system. The indices capture the major modes of climate variability. Tsonis and colleagues calculated the ‘distance’ between the indices. It was found that they would synchronize at certain times and then shift into a new state. It was noted that this was the first time that the mechanism – that is consistent with the theory of synchronized chaos in networks – was observed in a system the size of Earth’s climate. Swanson and Tsonis (2009) extended the research to the most recent climate shift at the turn of the millennium. The PDO manifests as cool upwelling in the northeast Pacific – the upwelling brings with it cold bottom water and associated nutrients which results in decadal shifts in biological activity (e.g. Mantua, 1997). The northeast Pacific stayed cool from the 1940’s to 1976/1997, warm to 1998 and cool again since. ENSO has the same tempo with increased frequency and intensity of La Niña to 1978/1977, El Niño to 1998 and La Niña since. This is most easily seen in Claus Wolter’s multivariate ENSO index which incorporates sea-level pressure, surface wind, sea surface temperature, surface air temperature and total cloudiness fraction of the sky. Multi-decadal variability in the Pacific is defined as the Interdecadal Pacific Oscillation (e.g. 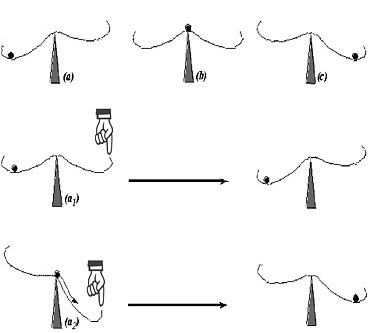 Folland et al,2002, Meinke et al, 2005, Parker et al, 2007, Power et al, 1999) – a proliferation of oscillations it seems. The latest Pacific Ocean climate shift in 1998/2001 is linked to increased flow in the north (Di Lorenzo et al, 2008) and the south (Roemmich et al, 2007, Qiu, Bo et al 2006)Pacific Ocean gyres. Roemmich et al (2007) suggest that mid-latitude gyres in all of the oceans are influenced by decadal variability in the Southern and Northern Annular Modes (SAM and NAM respectively) as wind driven currents in baroclinic oceans (Sverdrup, 1947). There is a growing literature on the potential for stratospheric influences on climate (e.g. Matthes et al 2006, Gray et al 2010, Lockwood et al 2010, Scaife et al 2012) due to warming of stratospheric ozone by solar UV emissions. Models incorporating stratospheric layers – despite differing greatly in their formulation of fundamental processes such as atmosphere-ocean coupling, clouds or gravity wave drag – show consistent responses in the troposphere. Top down modulation of SAM and NAM by solar UV has the potential to explain otherwise little understood variability at decadal to much longer scales in ENSO. Moy et al (2002) present the record of sedimentation shown above which is strongly influenced by ENSO variability. It is based on the presence of greater and less red sediment in a lake core. More sedimentation is associated with El Niño. It has continuous high resolution coverage over 12,000 years. 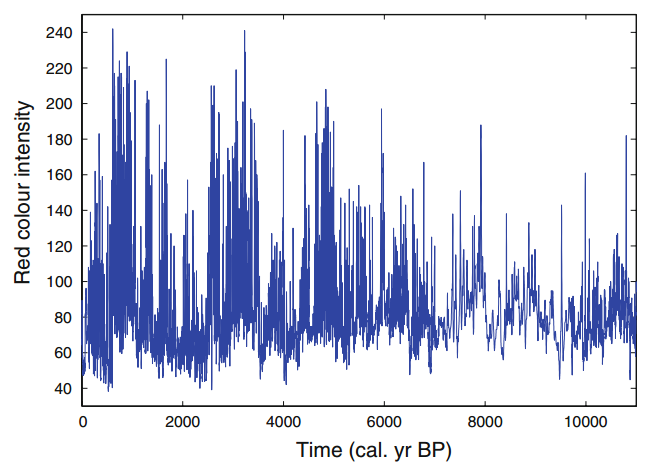 It shows periods of high and low ENSO activity alternating with a period of about 2,000 years. There was a shift from La Niña dominance to El Niño dominance that was identified by Tsonis 2009 as a chaotic bifurcation – and is associated with the drying of the Sahel. There is a period around 3,500 years ago of high ENSO activity associated with the demise of the Minoan civilisation (Tsonis et al, 2010). It shows ENSO variability considerably in excess of that seen in the modern period. Although a significant factor in global climate on the scale of decades – the Pacific Ocean modes are part of a global climate system that is variable at many scales in time and space. In the way of true science – it suggests at least decadal predictability. The current cool Pacific Ocean state seems more likely than not to persist for 20 to 30 years from 2002. The flip side is that – beyond the next few decades – the evolution of the global mean surface temperature may hold surprises on both the warm and cold ends of the spectrum (Swanson and Tsonis, 2009). Current Operational SST Anomaly Charts – Office of Satellite and Product Operations – 2014. Available at: http://www.ospo.noaa.gov/Products/ocean/sst/anomaly/. [Accessed 13 June 2014]. Di Lorenzo, E., Schneider, N., Cobb, K. M., Chhak, K., Franks, P. J. S., Miller A. J., McWilliams, J. C., Bograd S. J., Arango H., Curchister E., Powell T. M. and P. Rivere, 2008: North Pacific Gyre Oscillation links ocean climate and ecosystem change. Geophys. Res. Lett., 35, L08607, doi:10.1029/2007GL032838. Earth System Research Laboratory – PSD – 2014. Available at: http://www.esrl.noaa.gov/psd/enso/mei/. [Accessed 13 June 2014]. International Satellite Cloud Climatology Project (ISCCP-FD) – NASA – 2014. Available at: http://isccp.giss.nasa.gov/projects/browse_fc.html. [Accessed 13 June 2014]. Meinke, H., deVoil, P., Hammer, G.L., Power, S., Allan, R., Stone, R.C., Folland, C. and Potgieter, A., 2005: Rainfall variability at decadal and longer time scales: signal or noise? J. Climate, 18, 89-96. 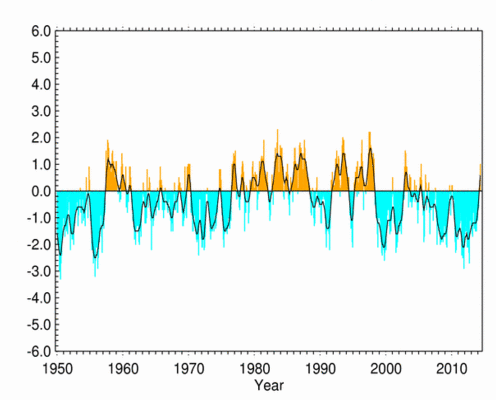 Pacific Decadal Oscillation (PDO) – Teleconnections – National Climatic Data Center (NCDC) – 2014. Available at: http://www.ncdc.noaa.gov/teleconnections/pdo.php. [Accessed 13 June 2014]. Parker, D.E., Folland C.K., A.A. Scaife, A. Colman, J. Knight, D. Fereday, P. Baines and D. Smith, 2007: Decadal to interdecadal climate variability and predictability and the background of climate change. JGR (Atmos), 112,.D18115 doi 10.1029/2007JD008411. Power, S., Casey, T., Folland, C.K., Colman, A and V. Mehta, 1999: Inter-decadal modulation of the impact of ENSO on Australia. Climate Dynamics, 15, 319-323. This entry was posted in Focus Area 12 and tagged abrupt climate change, ckimate change, climate, ENSO, natural climate variability, pdo. Bookmark the permalink. Nice article Rob and in particular highlighting a better understanding of the how’s and why’s involved with our many natural weather systems oscillations. I also liked the sensitivity analysis of solving climate models for prediction. No mention of CO2 or are there bigger fish to fry ? Greenhouse gases are ‘control variables’. Small changes can push the system past a threshold. How it might respond is unknowable. Mitigation of greenhouse gases is a broad and complex problem. Fossil fuels is some 57% of emissions – in which electricity is 26% and transportation 13%. I buy into this. Odd, Steven J. Gould argued for a similar dynamic in evolution. 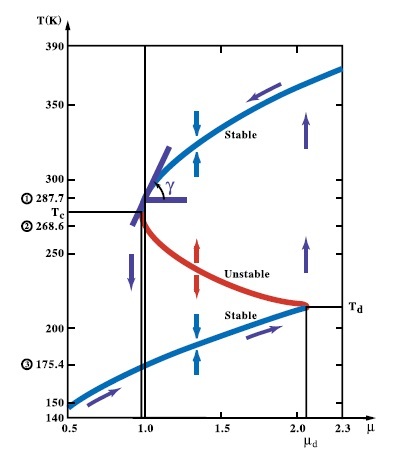 Numerical modelling would have its hardest time with these transitions, where the instabilities would push the error growth (numerical) into the exponential regime. Thank you for the review and update. Each time I read, almost the same thing, I get a better understanding and feel more comfortable with the ideas.